Aircraft Fuel Efficiency – Where Are We Now? The last two decades have not yielded much in the way of improved aircraft fuel efficiency. In fact, a recent study performed by the International Council on Clean Transportation stated commercial jet aircraft have not made continuous improvements over the last 20 years, citing the stability of jet fuel costs as one of the factors. However, with the recent increase in fuel prices, the industry has a need to improve aircraft fuel efficiency and is looking for methods to assist. Methods currently in use are lighter weight components and aircraft modifications, including the addition of winglets. Because of this more recent trend, we will investigate what is presently available to help improve aircraft fuel efficiency. A recent improvement is the development of lower weight materials for aircraft. For example, SABIC Innovative Plastics created Ultem polyetherimide in the cellular form. This is 10 to 20 times lighter than traditional plastic components making it an ideal core material for aircraft structures such as luggage compartments, galleys and lower wall panels. Based on the Ultem polyetherimide (PEI) resin, the material has a density of 10 to 30 times less than traditional materials. Plus, it is compatible with metals and thermoset laminate materials thereby increasing its uses to operations that could eliminate adhesives. In addition to being ideal for many composite manufacturing processes, such as machining, vacuum bagging and compression molding, the new Ultem foam provides good acoustic, dielectric and thermal properties. Additionally, it has low moisture absorption which could eliminate edge filling in some interior areas and reduce weight, which ultimately increases aircraft fuel efficiency. Many jet aircraft are now equipped with winglets, a vertical or tilted structure at the end of an aircraft wing. These devices are in place to minimize the spiral vortices that form at the end of a wing, creating drag on the aircraft, thereby improving fuel efficiency. Boeing and Airbus are working on new winglets that change shape mid-flight resulting in a quieter and more fuel-efficient trip. These organizations filed patents in 2009 for their technologies. The Airbus “Morphlet” engineers state that current technology saves between three to five percent of fuel used during normal flight. Airbus engineers believe by allowing the winglets to vary during flight, the higher five percent fuel savings will occur throughout the entire flight. On the other hand, Boeing intends to use SMA panels to move the winglets based on electric current or heat. Whether these new types of winglets will come to fruition remains to be seen. However, existing winglets offer a reasonable increase in aircraft fuel efficiency, making them a viable solution. These enhancements can work together to increase knots, decreasing total flight time. The basic math is that each one percent increase in cruise speed will save you one percent in time. Less time in the air means less fuel burned, saving you money over time. 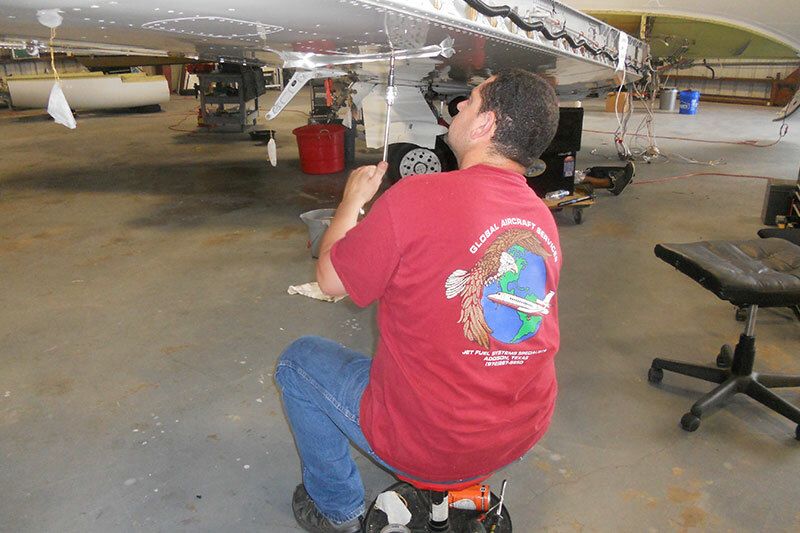 Another modification to be considered is engine or propeller improvements to produce more power. This increased power enables you to save fuel by using less throttle to maintain airspeed. These modifications should be made under either a supplemental type certificate (STC) or field approval modification. You can find a list of all STCs through the FAA Website. Simply search for the make and manufacturer of the aircraft, and then find your particular aircraft. More popular models may have over 200 STCs available, so plan on the research taking a bit of time. In spite of the modest changes to aircraft over the last 20 years, fuel efficiency can be improved through existing technology and common-sense modifications. Fortunately, engineers are actively researching new ways to improve fuel efficiency and the overall design of aircraft. In our next article, we will investigate some of the new ideas being considered that will improve aircraft fuel efficiency. 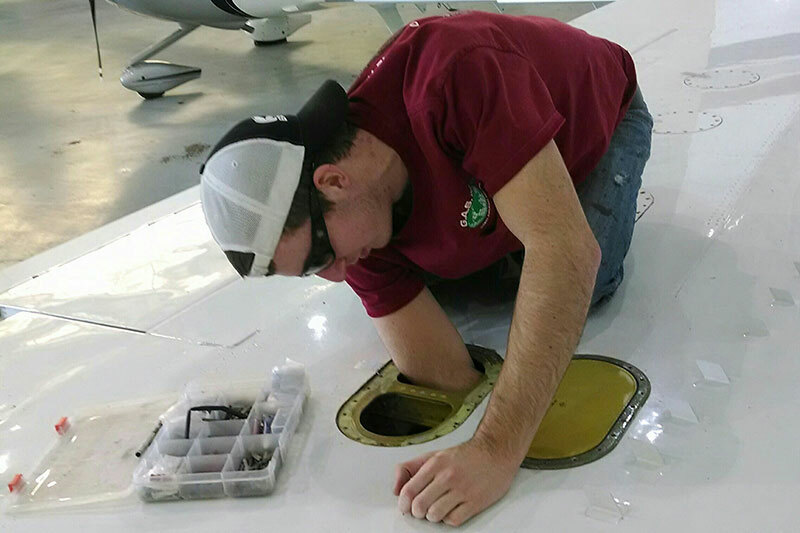 As always, our technicians at Global Aircraft Service, Inc. are available to offer expert advice on your fuel tank inspection and repair needs.